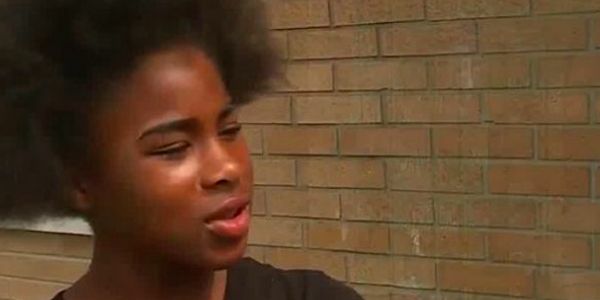 This week, news broke out that Cincinnati police officer Kevin Brown had shocked 11-year-old Donesha Gowdy with a Taser inside of a Kroger grocery store. Even more disturbing is the fact that, according to department policy, he was technically allowed to do it. Cincinnati police are allowed to use a Taser on people as young as 7. Despite the policy, Police Chief Eliot Isaac and Vice Mayor Christopher Smitherman have expressed concern over Officer Brown's use of force given Donesha's age and the circumstances of the encounter. Please sign this petition demanding that the Cincinnati police change this policy now and fire Officer Brown for excessive force now. The incident occurred on Monday night, when Office Brown — who was off-duty at the time — approached Donesha Gowdy for allegedly putting a soda and snacks in her backpack without paying. She ignored the plainclothes officer and tried to walk away. That's when Officer Brown used his Taser to shock Donesha from behind. That's right. There was no threat of harm to to the officer or bystanders, and he still decided to send a 50,000 volt shock to subdue a fifth grader for stealing some candy. Luckily, Donesha survived the shock, but that's not always the case. According to Reuters, over 1,000 people have died after being shocked with Tasers. Axon, the company that manufactures the stun guns, admits that high-risk groups like children are especially susceptible to the dangerous effects of Tasers. Police officers have a duty to protect kids, not send them to the hospital over small errors in judgment. This abuse of power must end now. Sign now to end the tasing of children and have Officer Brown fired immediately.